If I were a car thief, which I’m not, I wouldn’t sell my stolen goods on Craigslist. And yet, a guy from Memphis was arrested on Monday for doing just that, according to police. The car in question? 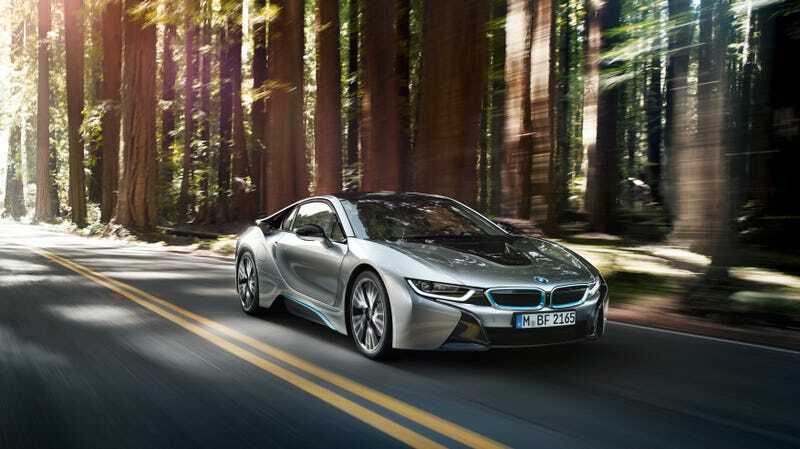 A BMW i8, offered for the low price of $87,000. Marqueze Blackwell allegedly listed the exquisite ride, which eventually caught the interest of the Tennessee Highway Patrol. As WREG-TV reports, authorities believed the car was stolen. During a meet on Poplar Avenue, authorities noted the VIN number appeared to be fake and took the seller, identified as Marqueze Blackwell, into custody. A separate VIN number under the seat revealed the car was in fact stolen out of Orlando back in March. Blackwell was charged with theft of property and the altering of a motor vehicle serial number. Fox 13 in Memphis says Blackwell was arraigned Tuesday. No word yet on if the car had been returned to its rightful owner.